Q. How do I find online articles from Harvard Business Review? B. Enter "Business Source Complete" in the search box below Databases. C. Once you retrieve the results page click on "Business Source Complete." 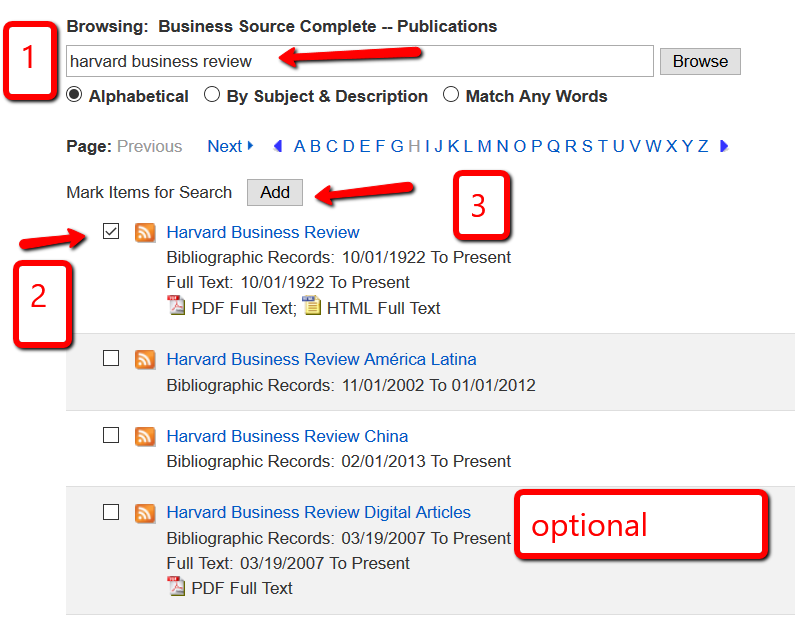 D. Once you have retrieved the database's search interface, you will see some choices at the top - click on Publications. E. You will retrieve a page where you can browse publications. 1. Enter Harvard business review in the browsing box. 2. You will get a list of results. The first Harvard Business Review that is listed has the articles from the print version of this publication. Click on the box to the left of it to select it. If you want one of the other versions you can select them if you wish. 3. Click on the Add button to add your choices to the search. 4. Once you have your choice in the search box you can click on the search button or add another term to your search. 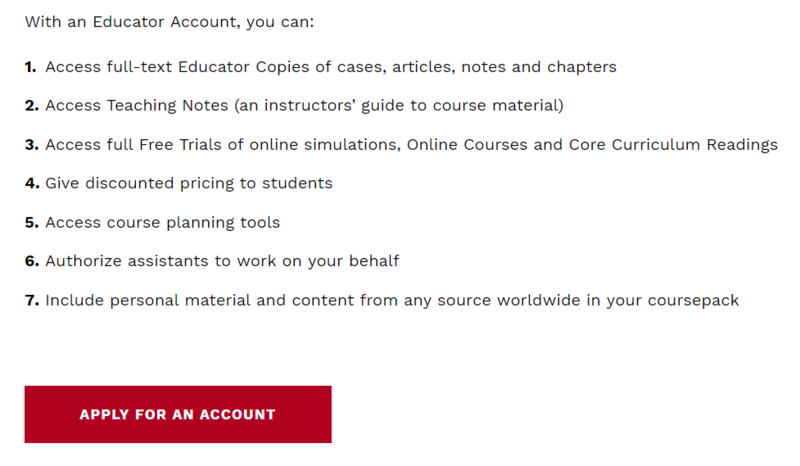 If you are an instructor who would like to use articles from HBR in a course, you can register for premium access to review material and then follow Harvard’s instructions to learn how to obtain them for classroom use. For information about articles from HBR, go to the publisher's Articles section of their website. For Harvard's 24/7 Customer Service contact information, see below. Click here to access Harvard’s Copyright Permission Guidelines. If you have any other questions, please contact either Carrie Forbes or Esther Gil at University Libraries.